Google created an online publishing format (AMP) in competition with Facebook’s Instant Articles. What this open-source initiative does is that it uses a unique code to optimize web pages which are used for mobile browsing. AMP creates websites which are easy-to-use, high-performing, and fast. On October 7, 2015, Google made an announcement about the future development of Accelerated Mobile Pages Project (AMP) along with project’s collaborators (WordPress, Twitter, LinkedIn, and Pinterest). In the next year, the web users were introduced to AMP pages. One of the most startling news came in 2017 when Google declared that AMP pages were being published by 900,000 web domains and over 2 billion AMP pages were published worldwide. In the eyes of experts, AMP certainly didn’t disappoint and lived up to its extreme hype – something that is expected to exceed in the coming years. In today’s world, it is hard to imagine a business without a website. It is because websites play an important role in increasing the revenue and growth of the business. The website can be created by hiring at least one person or a professional team of developers. People hire professional developers for websites because they have the required skills and experience. But how can one setup and launch a website without having any knowledge of programming at all? Well, you certainly can do that with Mobirise free website builder. If you want a developed website then it all comes down to convenience and of course, affordability – Mobirise delivers them both. With Mobirise, you can create AMP websites without hiring professional developers. It may sound ‘too good to be true’ but coding is the essential part of creating any website and with Mobirise you won’t be needing any sort of coding, period. 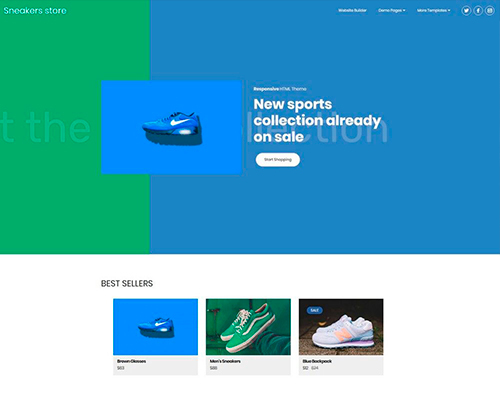 Talking about convenience, there various customizable themes, 800+ blocks, and over 100+ amazing AMP components which can be used to adjust the AMP website template. The drag-n-drop interface enables the users to add new blocks with utter ease. 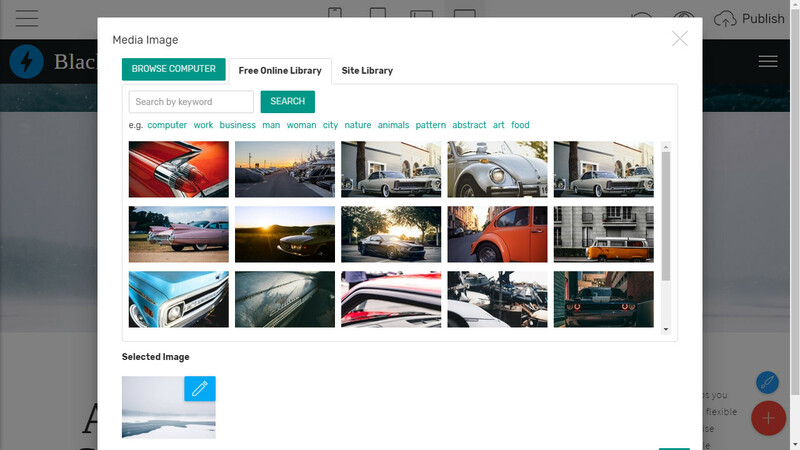 You can add new blocks to make the website more captivating for the users. There is no need for internet access and you can create your own AMP website within minutes. 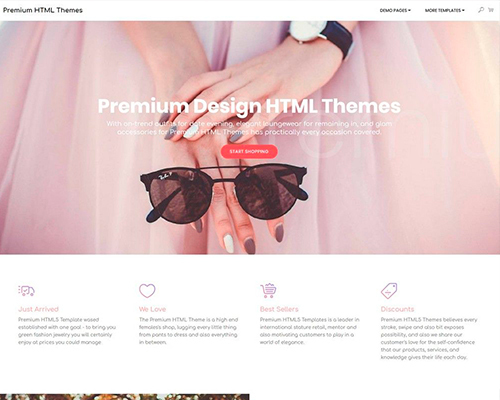 If you wondering about the cost then you’ll be relieved to know that this website builder is absolutely free to use, both personally and commercially. 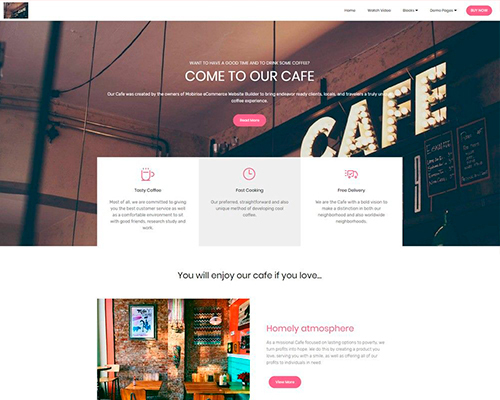 If you are looking to enhance the ranking of your site then this free AMP page theme has all the traits to accomplishing your ranking goals. 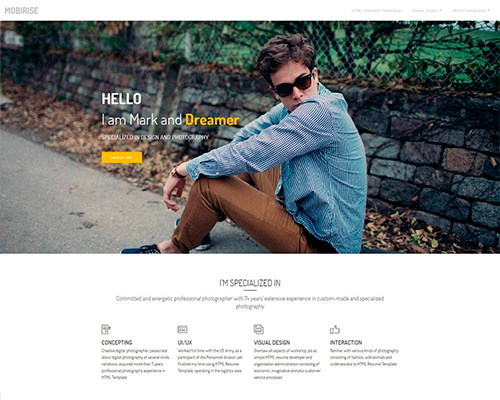 This AMP site template is loved by Google because this theme promises greater user experience and satisfaction. The content on your website will be accessed much faster and easier from all over the world. It is ultra-swift, mobile-friendly, and assists in getting a higher ranking. The great design of this AMP site template guarantees that your message is delivered to your target audiences in the most enticing manner. 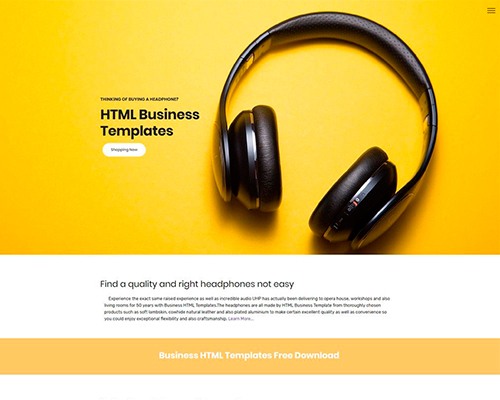 This new exciting AMP site template comes with amazing icons, forms, layouts, and 70 new blocks. It has an open-source format in which web pages and ads can be published instantly. 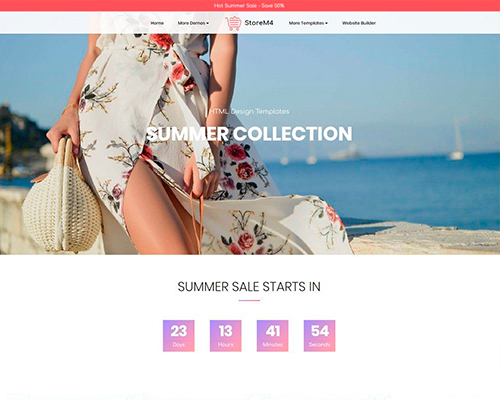 This AMP theme promises to deliver a smoother and more engaging experience to the users on mobile and desktop. 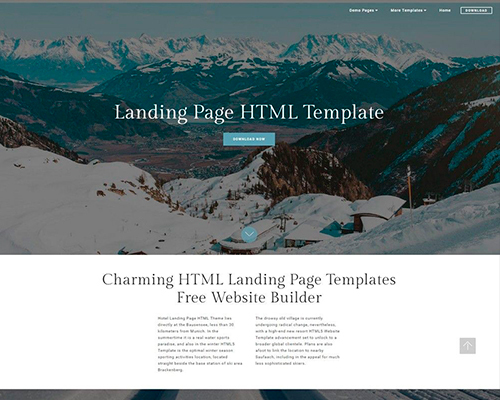 With this AMP site template, you can create a high-ranking and fast website. 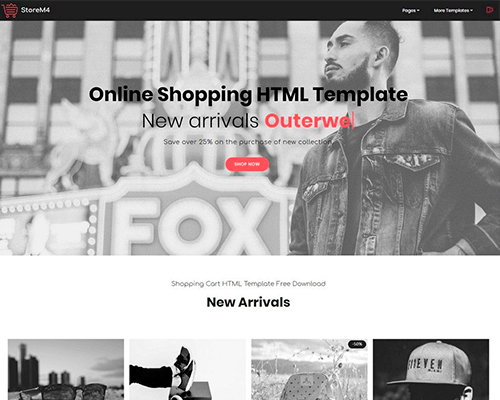 The Black AMP theme is a result-oriented AMP site template which delivers satisfactory results from the moment it becomes operational. 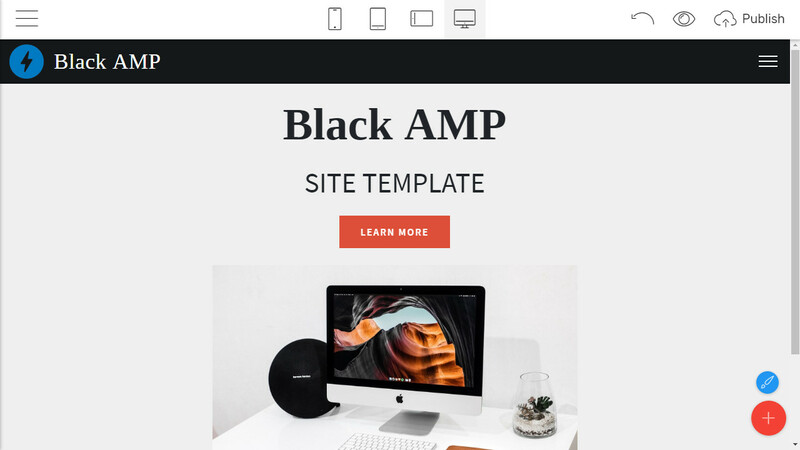 If you choose to go with Black AMP, your website will be able to take the best advantage of the latest Google AMP standard. This means that your website will load at much better speed and get top ranking as well. It is fair to say that Black AMP offers more appeal as compared to other themes and is more effective in acquiring the desired ranking. 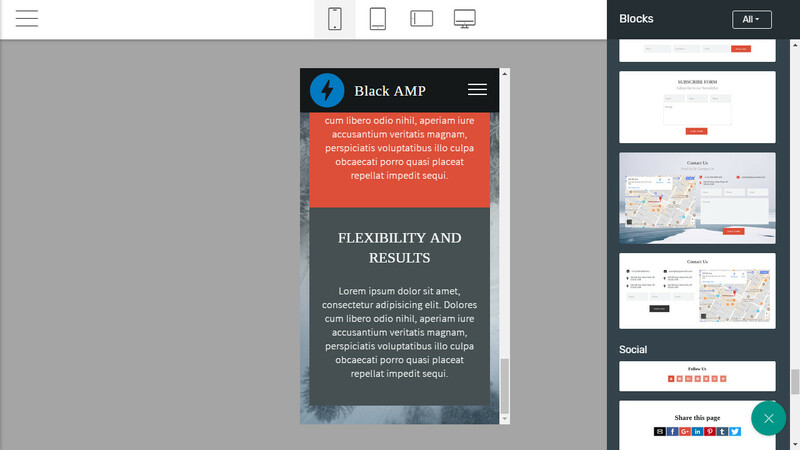 Out of many other convincing reasons to why use Mobirise, one of them is the Black AMP page template. 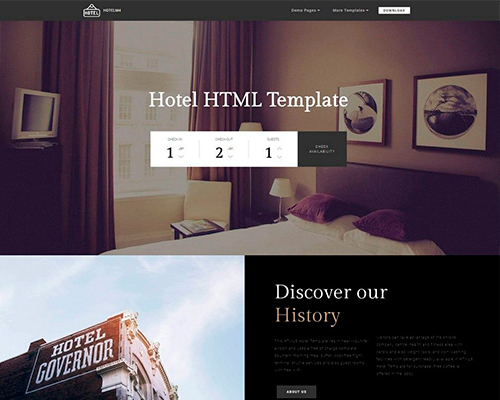 The vast array of blocks (including full-screen intro, content slider, bootstrap carousel, parallax scrolling, sticky header, and many more) give control to the user and enables that person to create an appropriate website. In Black AMP, blocks are quite flexible and they come with lots of customizable options. Mobirise wanted to create an impeccable AMP website builder and that is why this AMP Landing Page template has blocks that are specifically designed whilst keeping in mind all the latest web design trends. On top of all this, the block parameters can be adjusted to make the website more unique and attractive. The web pages load quite smoothly and the users won’t have to wait for their web pages to load. Mobirise has certainly introduced many appealing themes and the Black AMP template is definitely on the top of the list. There is no need for any previous knowledge of programming to operate Black AMP theme – it is super easy to use & amazing in delivering great results. 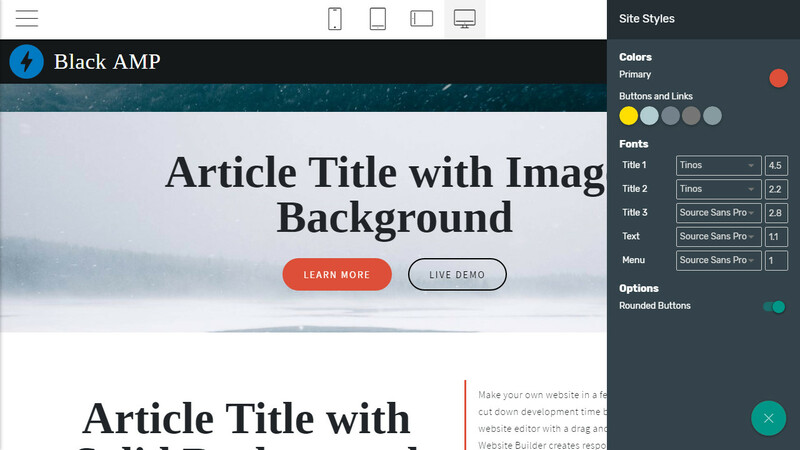 Thanks to more advanced modules, icons, and website blocks, Black AMP template is all that you need to create your own website. All in all, it is fair to say that Black AMP theme is your best option for web development. 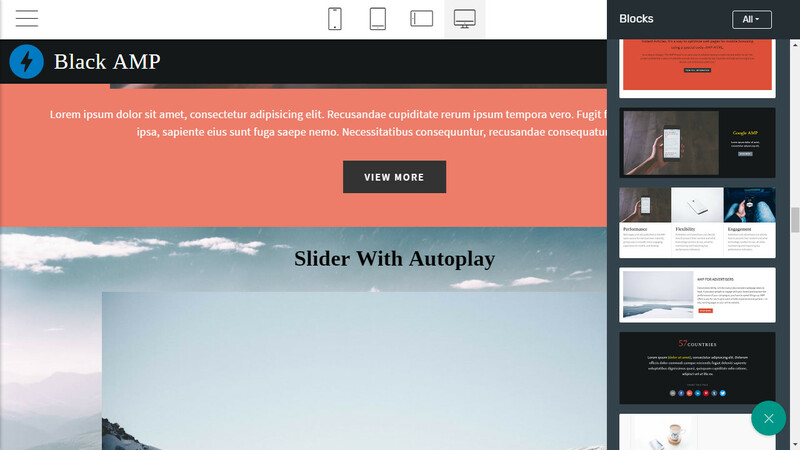 Download AMP Site Template Now!